The "Arklow Fame" after its allision with a quay departed from Brake on Aug 20 at 8.50 p.m. and reached its destination Dublin in the evening of Aug 23. 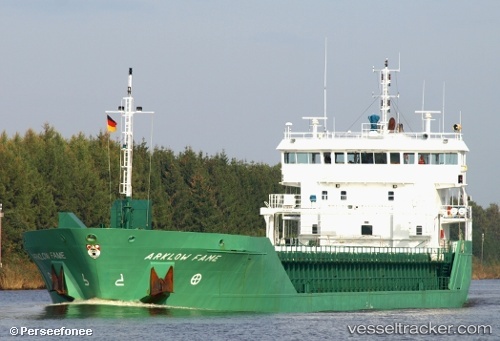 On Aug 19, 2010, the "Arklow Fame", coming from Southampton, allided with a quay in the port of Brake. The ship had been about to berth when at 4 p.m. the bow thruster failed and the ship which carried a cargo of 4150 tons wheat ran into the Wood Quay. The bow suffered dents, and the quay was damaged on a length of seven metres. The police started investigations. The ship meanhwile has to remain in port.